Over the last few years, I have made it my mission to help raise the standard of the independently published books in every way I can. There is a certain level of prejudice against non-traditionally published authors, and so it is imperative that the quality of the product you supply to your readers should be at least equal to, or even better than, a traditionally published book. When you work with me, you will also learn – but only if you want to. I offer my knowledge in all aspects of creating a work of fiction freely, and welcome all questions, both during the time we have together and after your project has been published. However, I will not shove grammar down your throat or burden you with tons of details about plot-building until you pass out with the load. It is up to you to ask if you want to know. If, on the other hand, you want to hand me a first draft and collect a beautifully worded gem in a couple of weeks’ time, I can accommodate those wishes just as easily. I believe in preserving an author’s individual voice, so you can be assured I will not suggest changes for the sake of justifying the time I spend working on a manuscript. It would be counterproductive, and I have an innate dislike for wasted time or effort. 1) Do you use the Chicago Manual of Style? I use whatever STYLE the author prefers. I do not believe in starchy rules of any kind, and while you can be assured of flawless editing (my standard is 0.0025% misses), if you want to argue about the correct size of an en-dash, or whether your quote marks should be straight or curly, you need a different editor. The clue is in the name: The Chicago Manual of STYLE – not GRAMMAR. Having said that, yes, the CMOS rules are the standard for fiction, so that is what I suggest we use unless you have a really good reason for disregarding them. 2) How long will it take you to edit my manuscript? I would like you to take a minute to imagine the most beautiful wood carving you could ever see. That is your finished manuscript in its utmost perfection. If you give me a carving which is almost there, just needs a few details chiseled right, a few chips taken off, and a few layers of polish, we could be done in a week. If you give me a tree trunk so rough I’ll need a chainsaw before I can get near, it could take us months. I don’t have a problem with it, and my fee is the same, regardless of how much work I put in a manuscript. I can usually give you an indication, but that is not set in stone. I have been sent manuscripts with pristine beginnings, but which required a lot more work (read ‘time’) from chapter four onward. We could take two days or 6 months. It really is up to you. For a faster turnaround, it would be wise to go through your rough draft a few times before sending it to me. As a general rule of thumb, use this calculation. For a 100,000-word manuscript, I need to make sure 20 words are perfect every minute of every working hour in order to finish editing in about 90 hours (that is 12 days at 7.5 hours worked daily). That does not include me writing you any comments, giving you options to choose from, pointing out inconsistencies, or fact-checking. Sure, anyone can read 20 words a minute. But you’re not hiring me to read. You’re hiring me to assess and improve. 3) Will my book be a bestseller? Unlikely, without a seriously powerful promotional plan behind it. So why are you paying for editing then? Because without a near-perfect product you stand NO chance at all. There are plenty of good books out there; some are even outstanding. To beat them in the rankings, your work has to be out-of-this-world amazing. You need to have a good book to start with, and together we will make it the best it can be. It may take you several goes, but if you are a hard-worker – or incredibly lucky – you will get there. 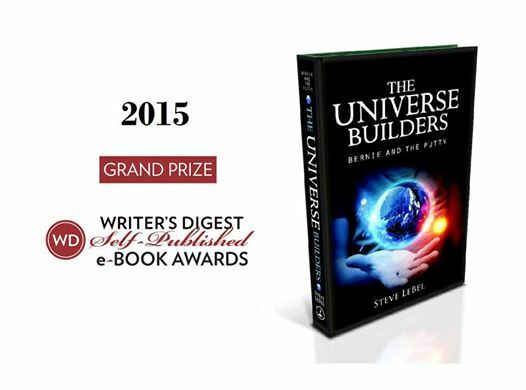 MANY CONGRATULATIONS TO STEVE LEBEL, WHO WON THE ABOVE AWARD (AND 15 OTHERS) WITH THE UNIVERSE BUILDERS. WELL DONE, STEVE! Before you leave, I would like to offer you an author’s opinion on writing, what it involves, and the many things no one tells you about before you start. Please take a minute to read this article. It is an eye-opener. “As an independent, self-published author, I often find myself involved in discussions debating the benefits of self-publishing versus traditional publishing, both with readers and fellow authors. Wow Ella, I didn’t know you did this. I’ll have to keep you in mind for my next novel. I will keep you in mind, have liked your facebook page so I can keep up to date. I would like to add my testimonial for the excellent work you do, Ella. For the benefit of anyone who may be reading this, Ella served as the editor for my first book, The Universe Builders: Bernie and the Putty, which was published in 2014. Thank you so much, Ella. I couldn’t have done it without you!